Artificial intelligence seems to be seeping into every industry. One of the fields where it can have massive impact is advertising, thanks to its ability to scan through massive data sets in a very short period of time. Yet, advertisers are now experimenting with different AI implementations. The latest? AI-powered interactive voice ads. Smart speakers are one of the fastest growing technology segments, while smartphone voice assistants are becoming an integral part of user experience. Just this year, millions of Android smartphones will hit the market with a dedicated assistant button. It is therefore not hard to argue that we are getting more and more used to voice interactions with AI, be it by barking orders or asking questions. Pandora seems to think that this familiarity can make us more open to its latest idea - teaming up with voice-enabled audio ad platform Instreamatic, the company will start testing AI-powered interactive advertisements. How would these ads work? An audio commercial could describe a product and ask listeners whether they are interested in any specific features or in the product in general. The user can then ask questions or, of course, state that they are not interested. Instreamatic even claims that its AI-powered platform will be able to understand complex answers and questions. The main motivating factor behind these interactive commercials is that unlike web or mobile ads, there are no clicks to register audio ad user engagement. Advertisers can't know if they made any impact with their message. However, forcing listeners to respond, even if it's simply to skip the ad, can be perceived as quite invasive. Of course, you can claim that the same applies to video ads on YouTube, for example, but there the only action you need to take is click/tap the skip button. It requires less effort, and my opinion, it detracts less from the listening or watching experience. I would also argue that no matter how sophisticated or human-like the AI advertisement can become, or how well it is targeted toward your interests, it will still be an annoyance. It's akin to being interrupted by a call from a marketer (or a robo call) when enjoying your favorite tracks. Even then, you have the option to simply hang up if you don't recognize the number. So while I understand advertisers' motivation, I don't think this is the right way to go about it. We also have to keep in mind that for these ads to work, apps that feature them would likely require microphone permissions, raising privacy concerns. Even if we presume no malicious intent on the advertisers' or platform's part, data leaks are incredibly common. Bugs happen too. There already is a known case of Alexa accidentally recording a private conversation and sending it to a contact, for example. 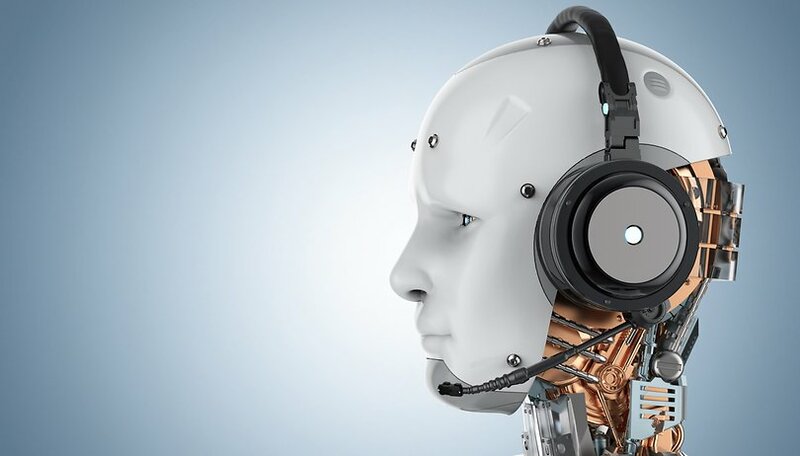 Of course, on the flip side, the novelty of AI-powered voice advertisements could make them interesting and engaging to some, while those that hate them could turn to Premium ad-free options. Both are beneficial to companies. However, we'll have to wait and see what user reactions will be. Pandora is expected to launch the new commercials in beta at some point later in the year on the free version of its music streaming service. The Plus, Premium and Premium Family plans will remain ad-free. If I need to respond to ads to skip them, I'm more likely to switch over to a Premium ad-free plan. What do you think of these new AI-powered voice advertisements? Would you interact with them or skip them? Let us know in the comments below. To answer the question: I am less likely to switch to a premium service, I am likely to stop using that service altogether. Annoying customers into paying sounds closer to non-violent mugging than to commerce. It is not what companies should be aiming for. AI advertisements interacting with the user tantamounts to 'targeted' advertisements 'invading' the 'host'. Basically I am not one of those privacy nerds, nevertheless I am a very strong advocate of online privacy for some very humane reasons. For instance you cannot meditate at a crowded public meeting or a cat doesn't gives birth in open at a busy street. Nature, within and without, is both all embracing and mysteriously seclusive. Even if you have nothing to hide, being constantly monitored and poked does influences you subconscious and gradually alters the mind in a bad way. For protecting my online privacy I am on TunnelBear VPN yearly plan, use Firefox and Brave browser, StartPage search engine, apps free from advertisements without any exception, use premium services and try to remain as much Google free or Microsoft free as possible on the best settings and many more things. I do allow advertisements on my favorite websites because that is a must, that is the least I can do for supporting them because I love them. The day I complete my studies and get a job I will be able to support them in many more ways 😊. Advertisements popping up on your screen while reading is annoying enough. To have them talking and insisting on interaction would be a nightmare. I’d rather install an add blocker to shut them up completely. Thanks to the author for the warning!